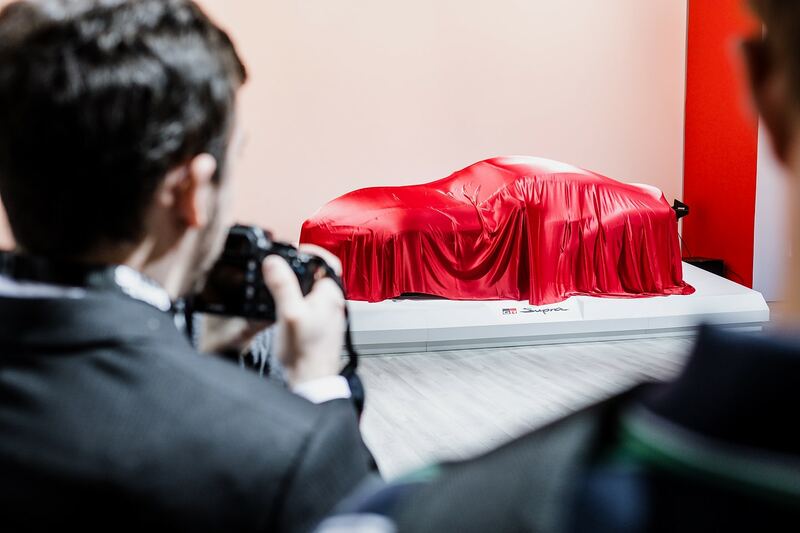 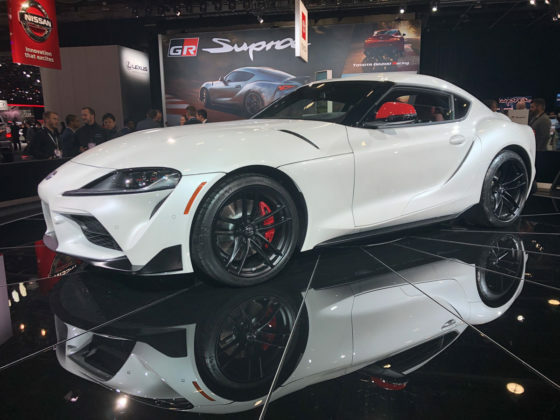 The Toyota Supra is finally here. 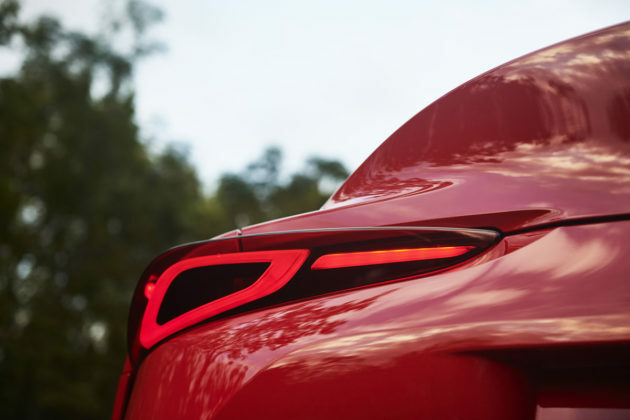 After years of speculation, rumors and leaked images, it’s back and ready to compete with some established competitors. 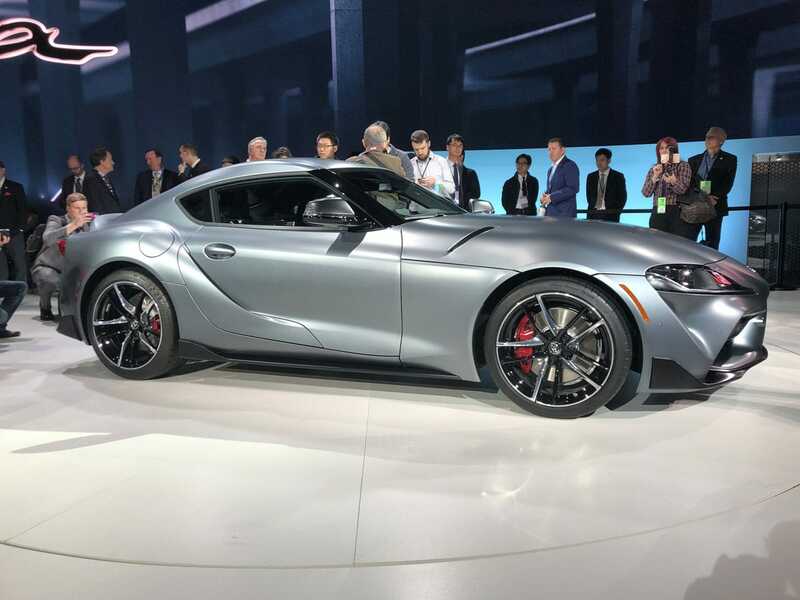 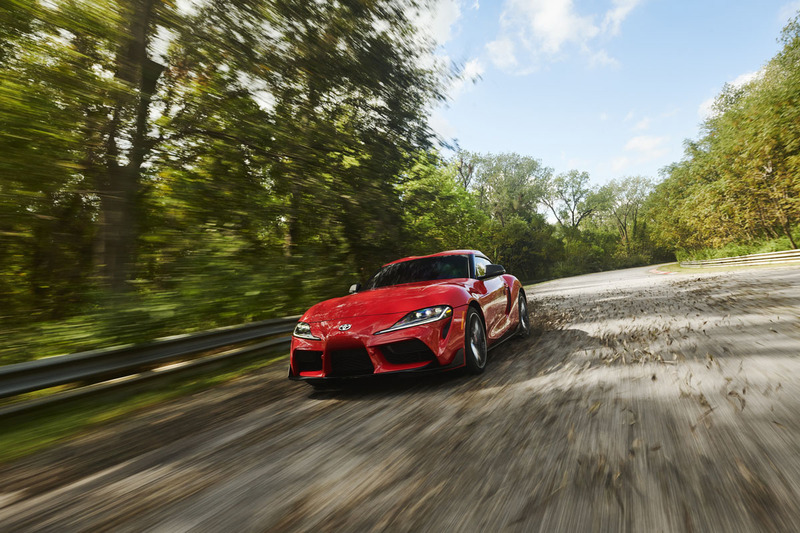 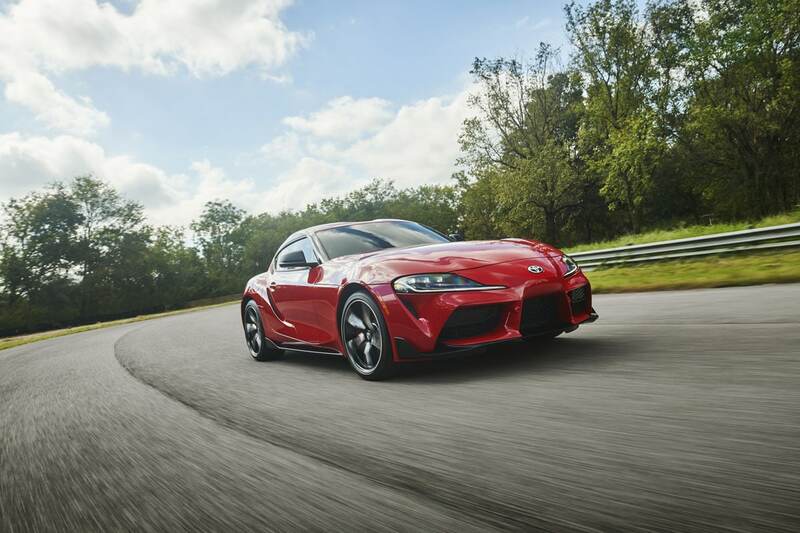 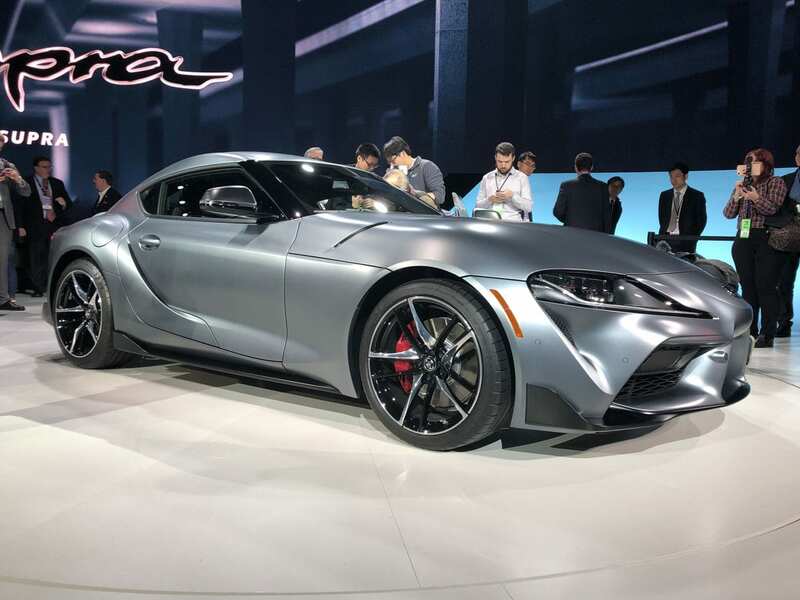 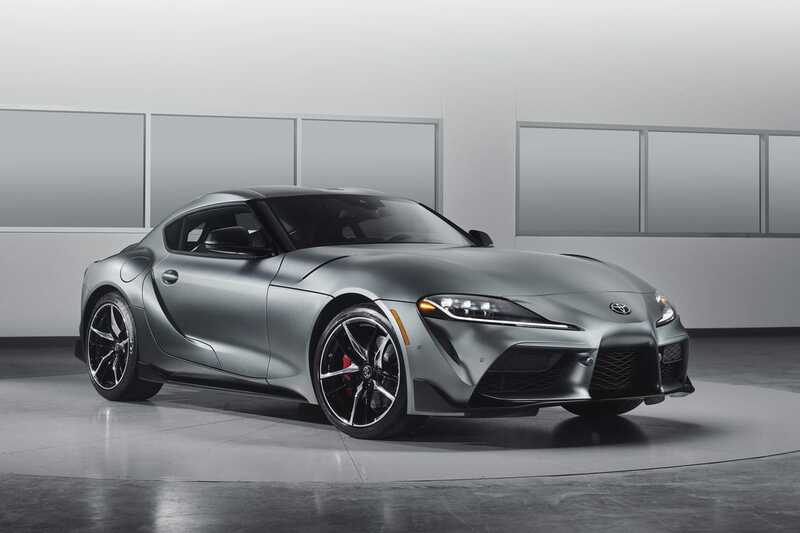 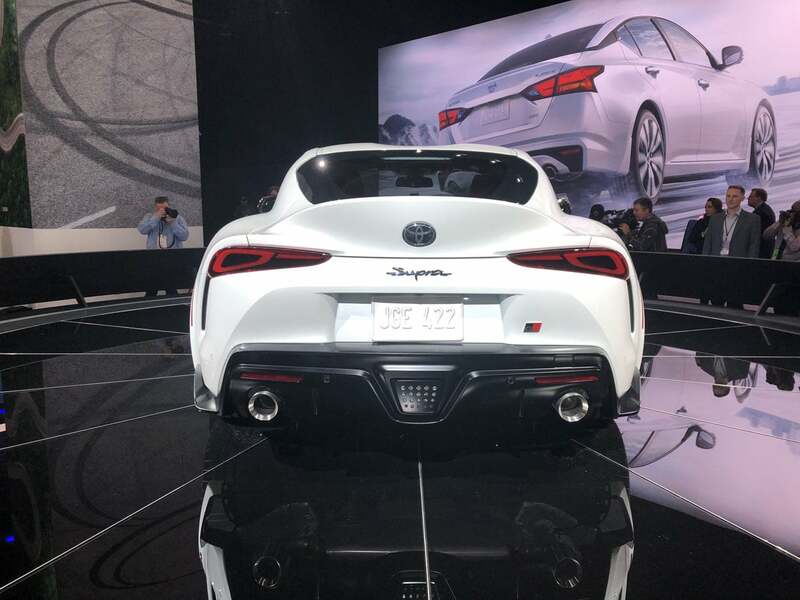 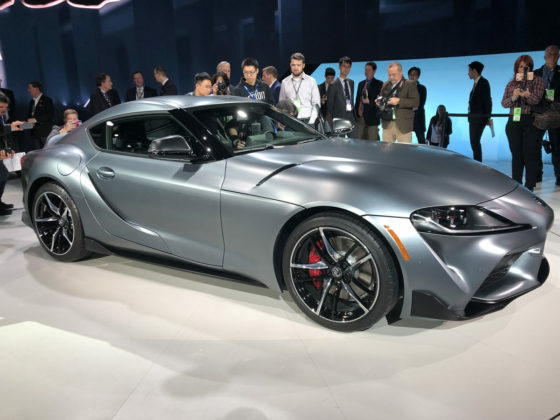 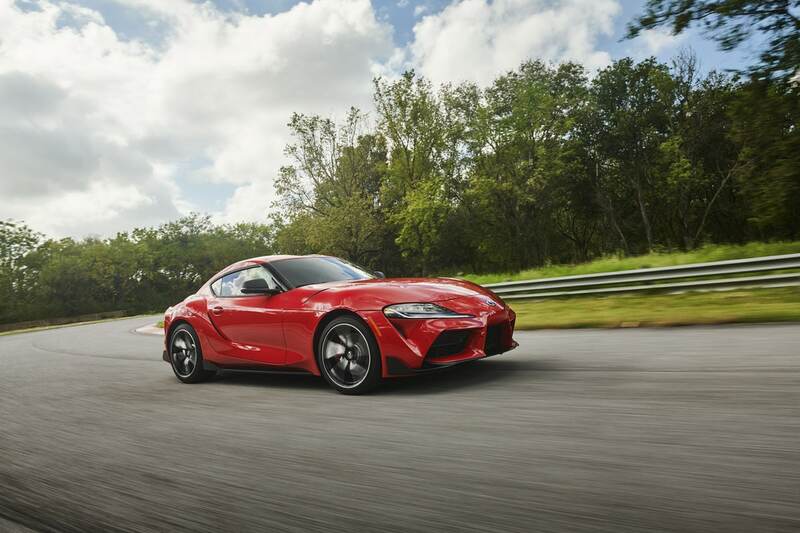 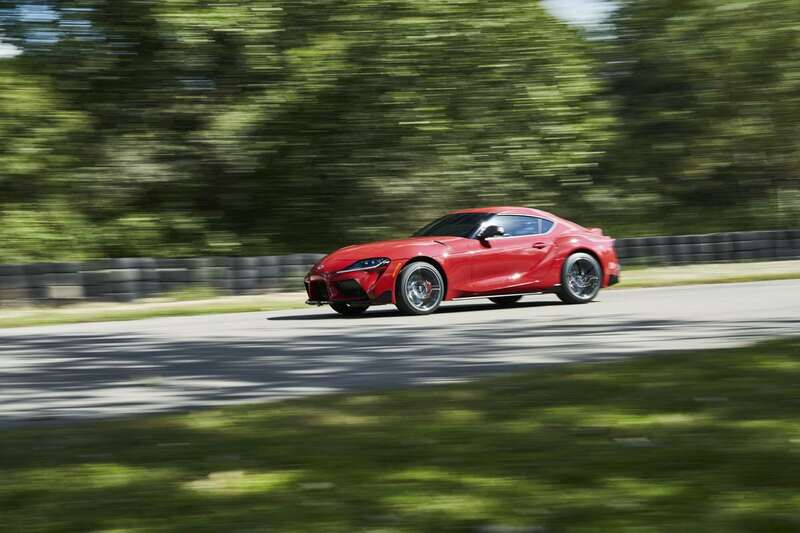 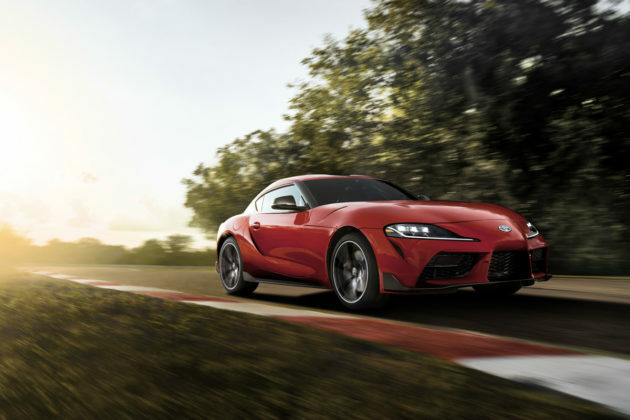 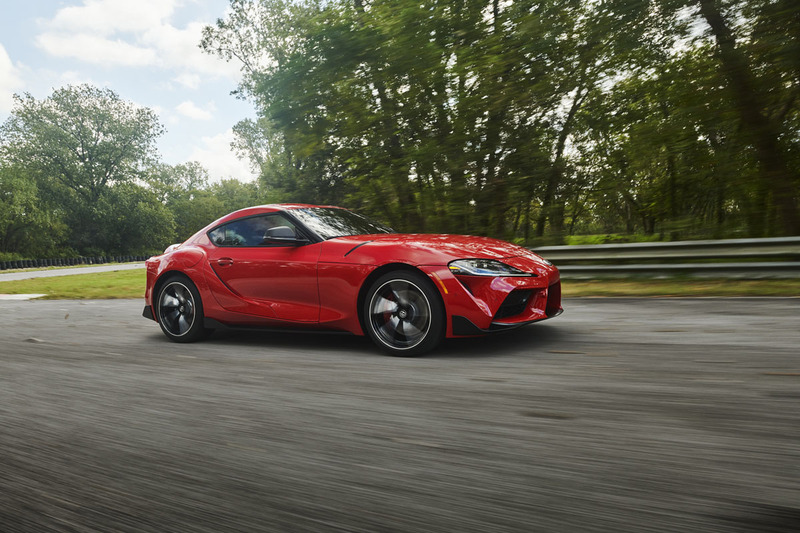 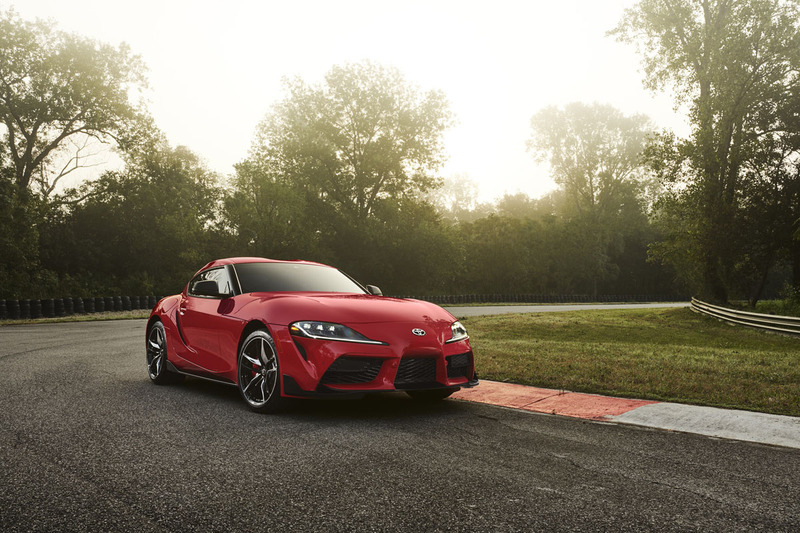 But figuring out which models the 2020 Toyota Supra competes with can be a difficult proposition. 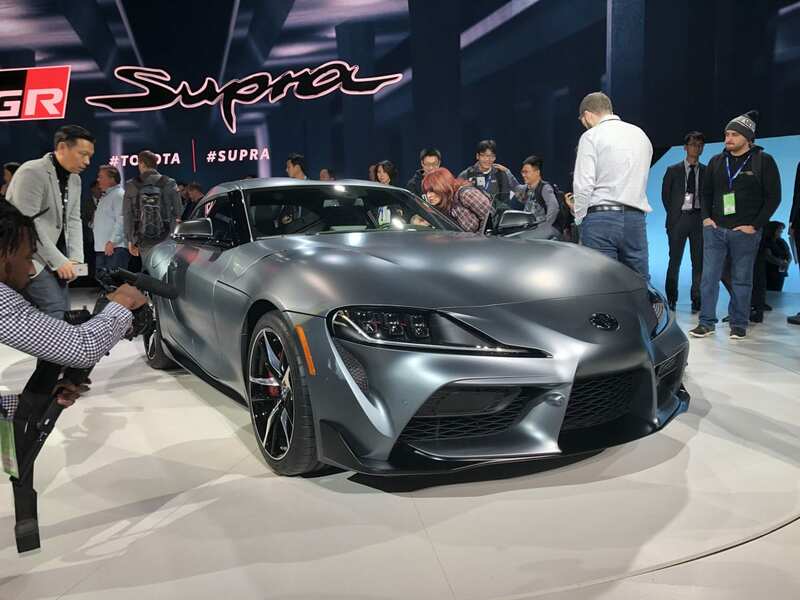 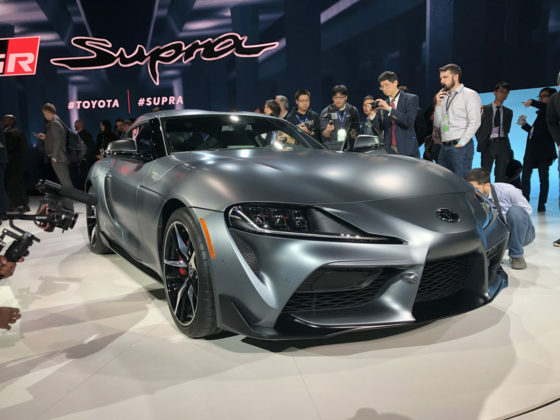 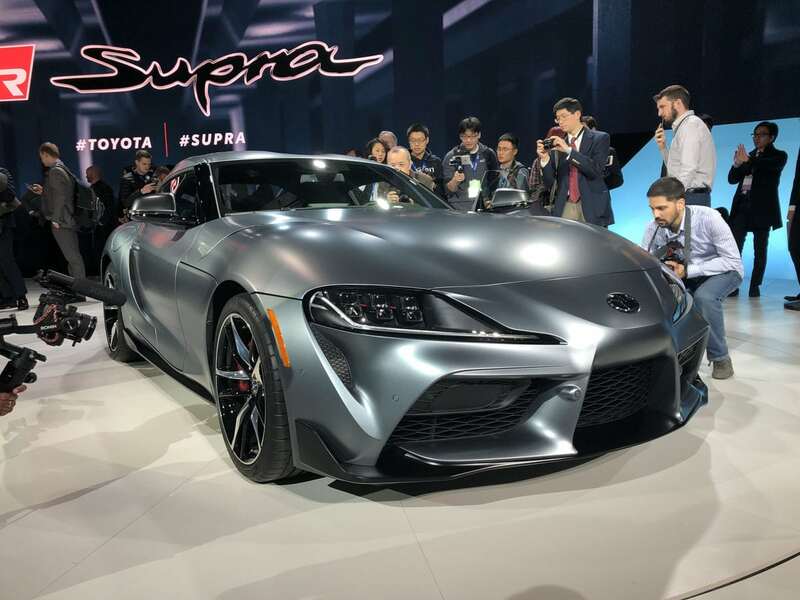 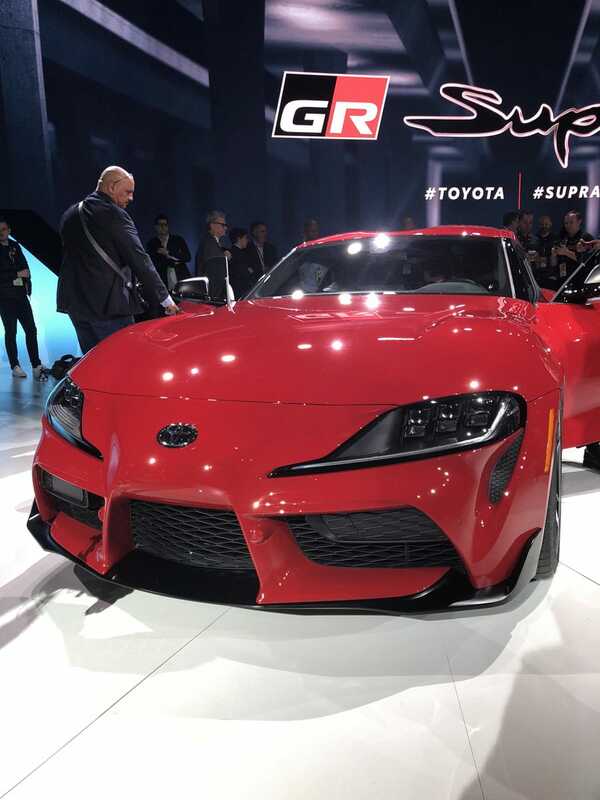 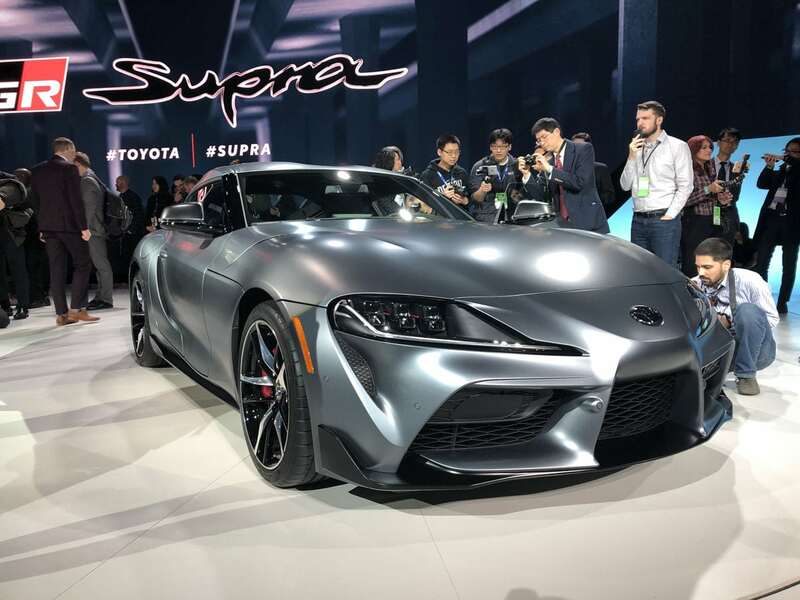 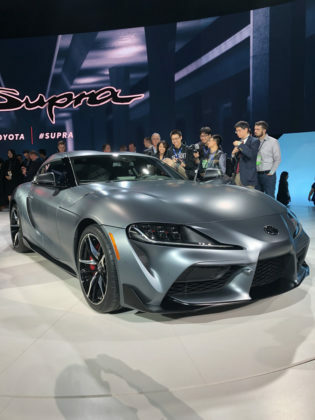 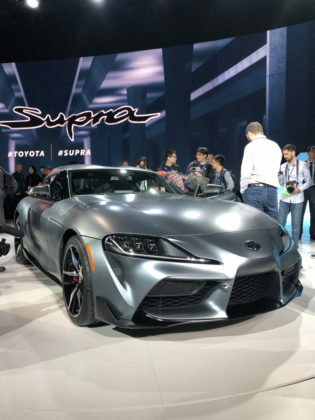 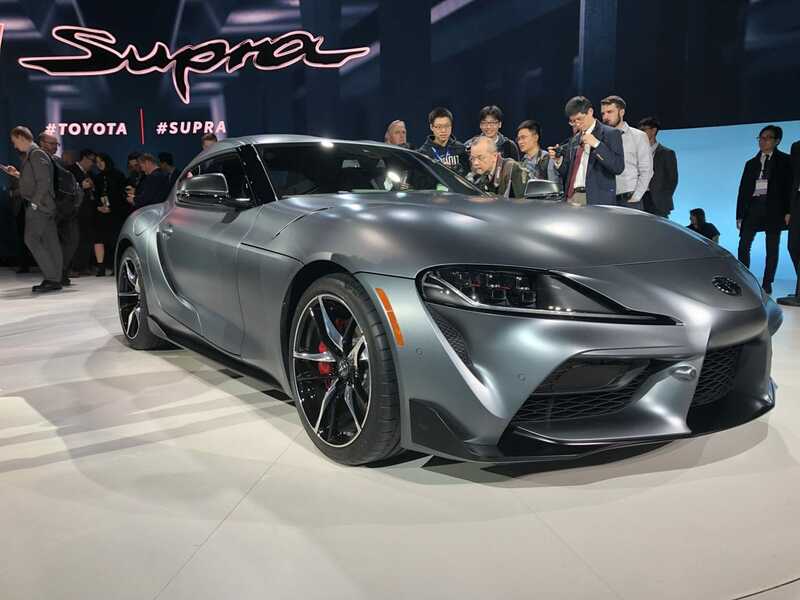 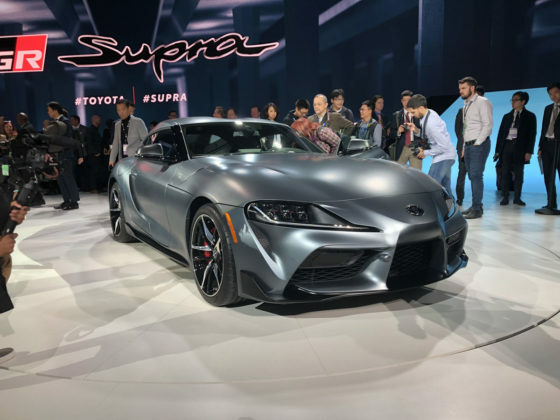 We don’t know how much it will cost in Canada, but we have a good idea given its $50,000 starting price in the U.S.
That puts it in direct competition with a lot of performance models, but only a handful are two-seaters like the Supra. You have the Porsche Cayman that’s not really in that price range but still close enough, and of course the C7 2019 Chevrolet Corvette. The base Corvette starts at around $67,000 and we expect the Supra to start around $60,000. That means that if you’re thinking of a Corvette, you’ll probably check out the Toyota Supra as well. 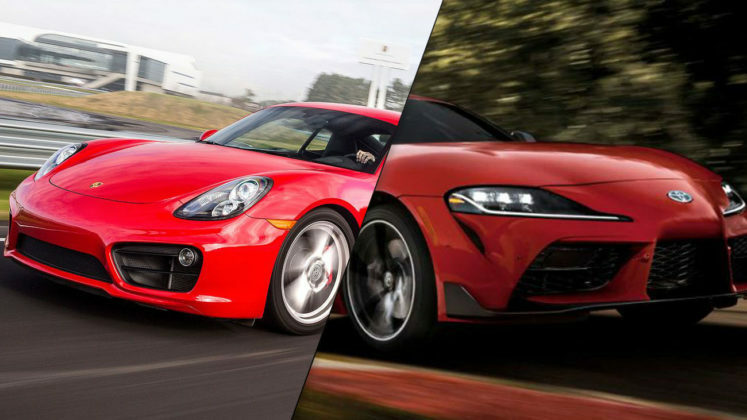 And so, let’s take a quick look at how these two RWD two-seat coupes compare with each other. There are a ton of engines available on the 2019 Corvette, but if you want to stay close to the Supra’s price you’ll have to go with the 6.2-liter V8 with 455 horsepower and 460 pound-feet of torque. 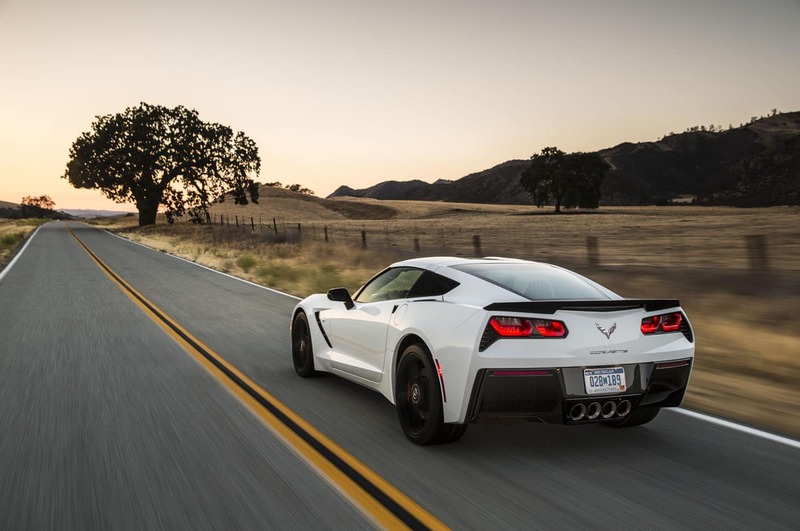 The Corvette is considered to have one of the best performance-to-price ratios in the automotive industry and the 6.2-liter V8 is the reason why. It will get you to 100 km/h in around 4.0 seconds. 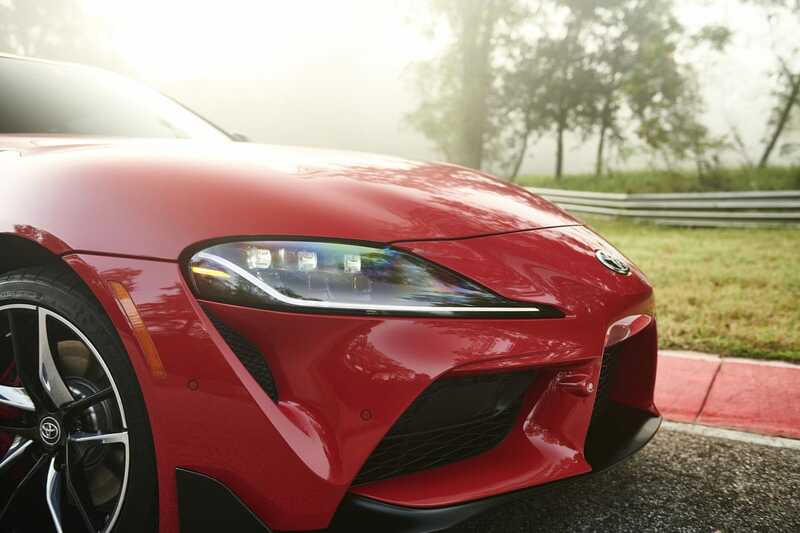 We’ve heard a ton about the 2020 Toyota Supra’s engine, of course. 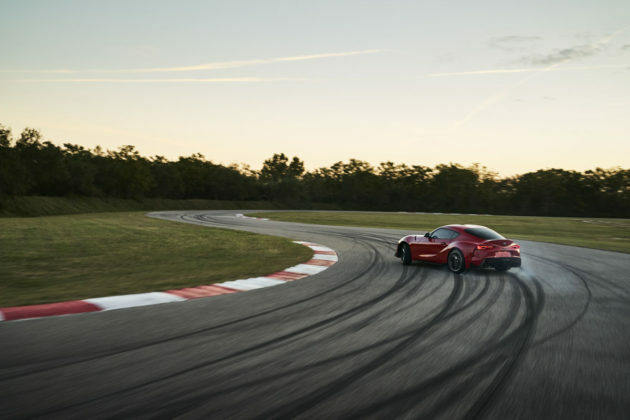 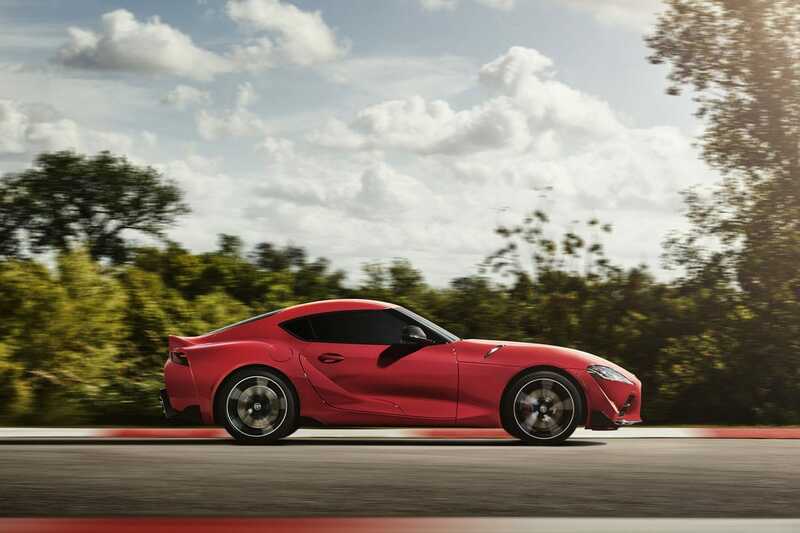 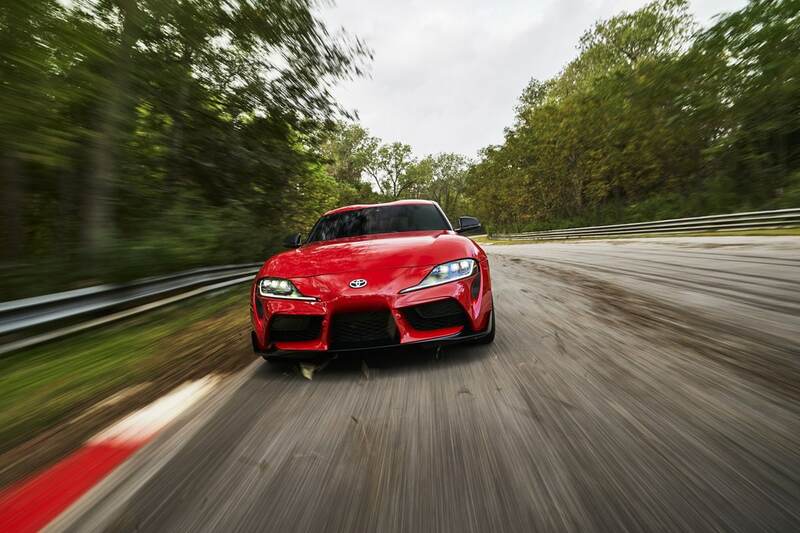 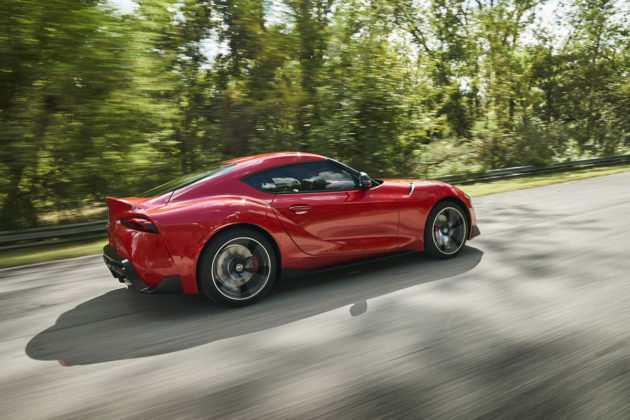 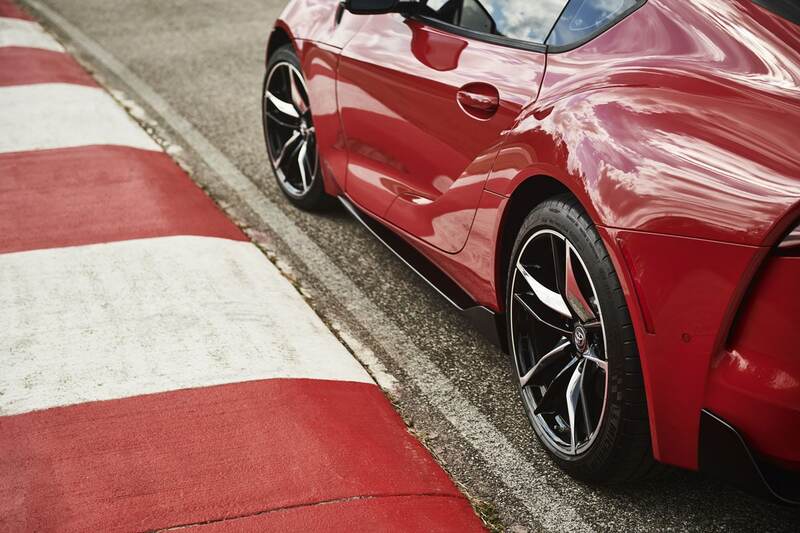 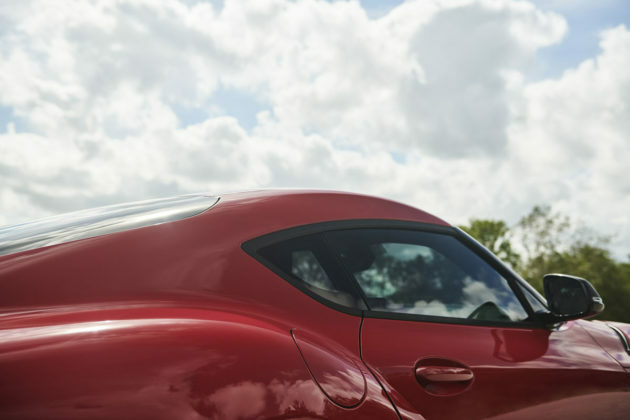 Shared with the BMW Z4, the 3.0-liter twin-turbo six-cylinder engine makes 335 horsepower and 365 pound-feet of torque and allows the Supra to reach 60 mph in 4.1 seconds. Expect a 0-100 km/h in about 4.5 seconds. The Supra and Corvette are both very fast but they do it in very different ways. 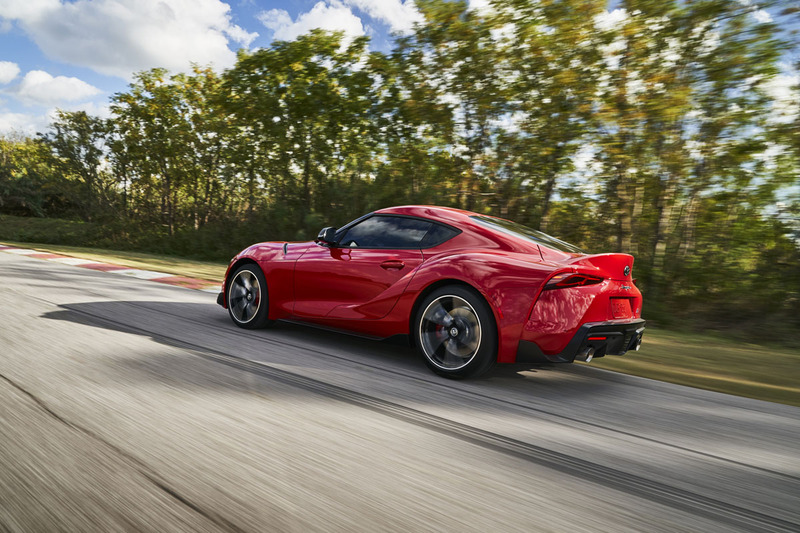 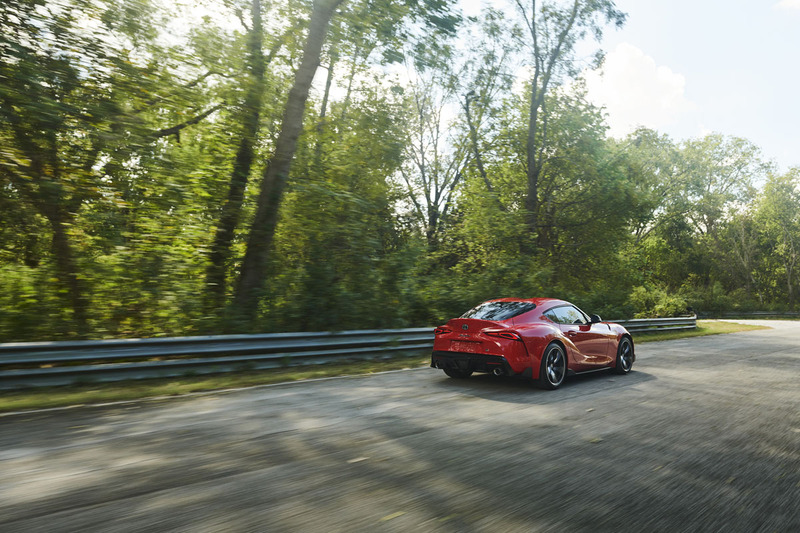 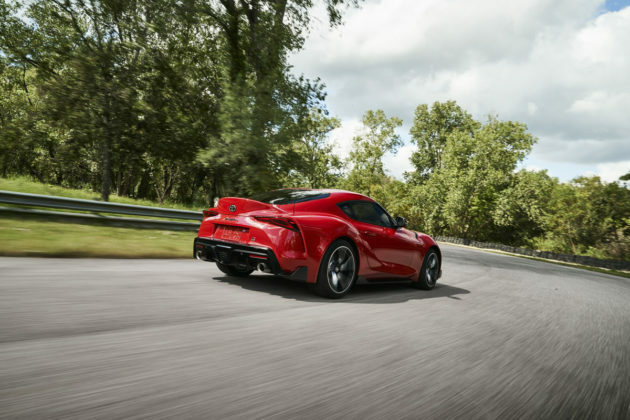 We haven’t driven the Supra yet, of course, but we expect its power to be more manageable than the Corvettes with initial accelerations that feel quicker despite the Corvette being the fastest straight-line car. 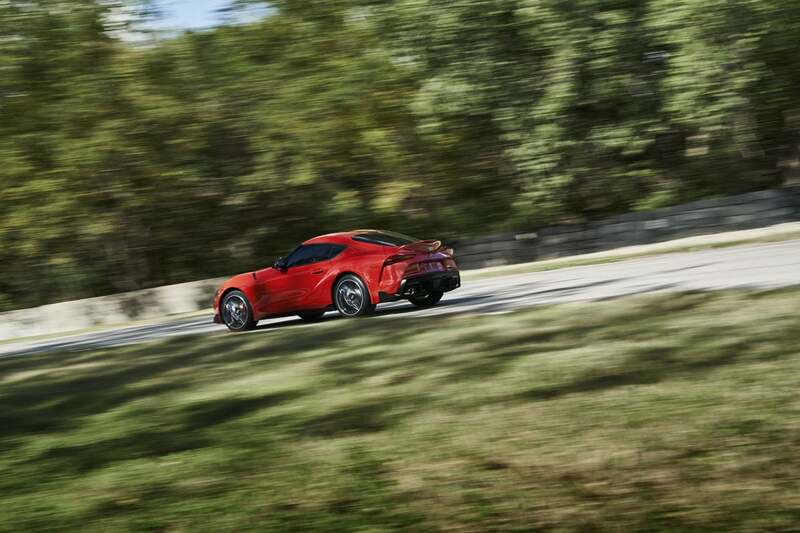 Both the Supra and Corvette claim a perfect 50:50 weight distribution but the Chevy will surely be heavier. Now, Supra fans are still feeling the sting from the lack of a manual transmission while the Corvette treats do-it-yourself shifters to an advanced 7-speed manual gearbox with rev matching. 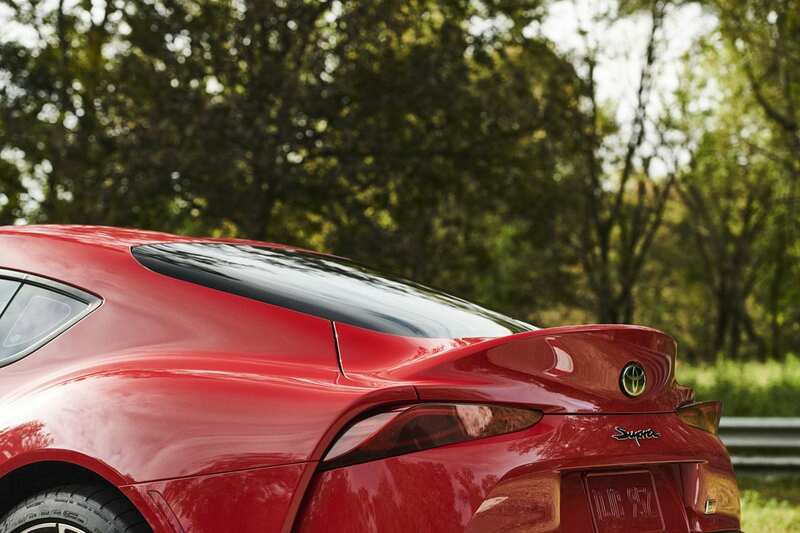 That alone may push buyers to the Chevy. 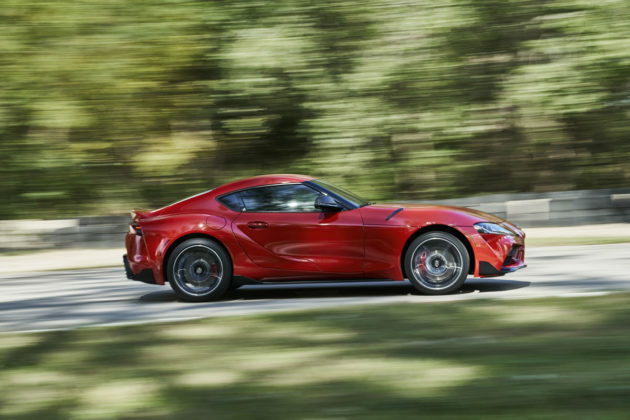 In the end, both the 2020 Supra and the current ‘Vette will be fast and surely comparable when it comes to lap and 0-100 km/h times. 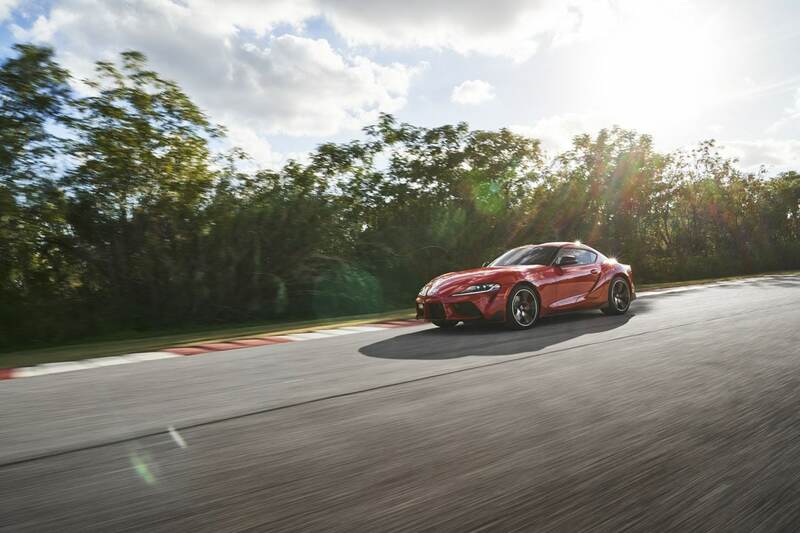 On the other hand, the Supra will surely feel lighter and more nimble and we can’t wait to see how it handles itself around a track. 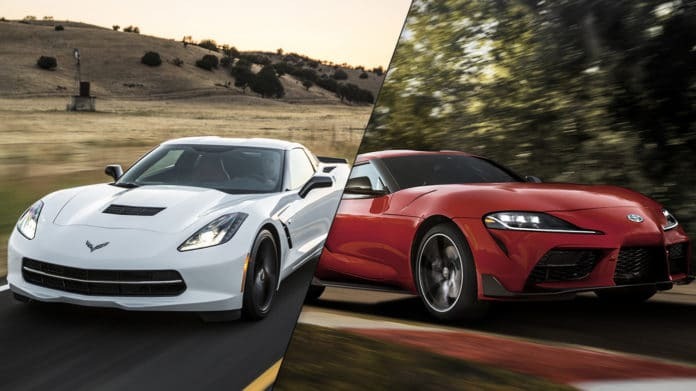 There are a ton of versions available in the Chevrolet Corvette. 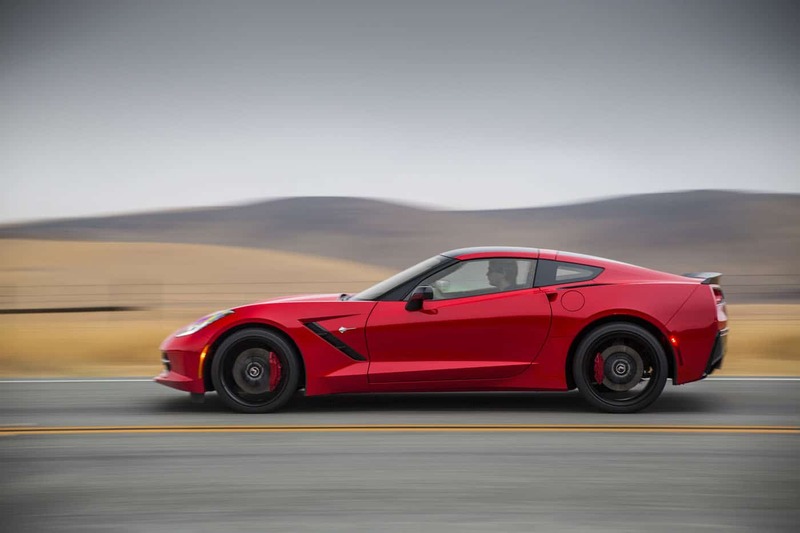 Even the base model gets various trims including 1LT, 2LT, Z51 Performance Package and 3LT. 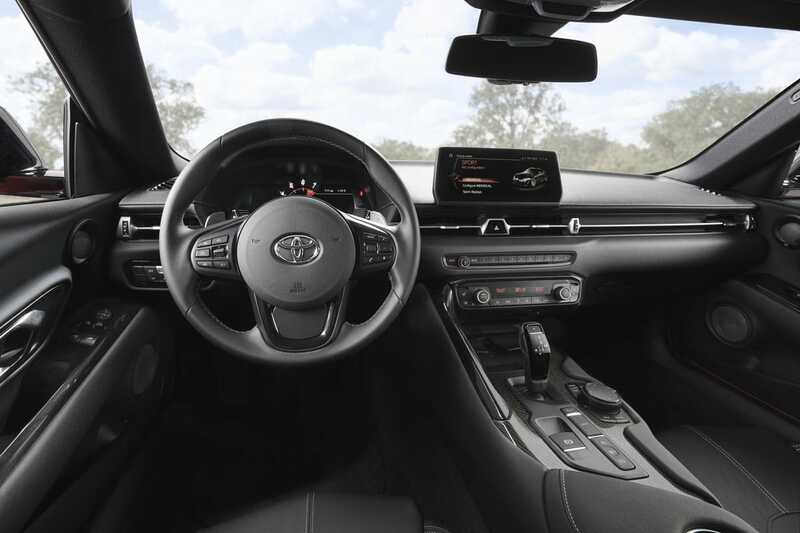 For this comparo, we’ll stick with the 1LT which gets an 8-inch touchscreen, SiriusXM, keyless start and entry, and dual-zone climate. 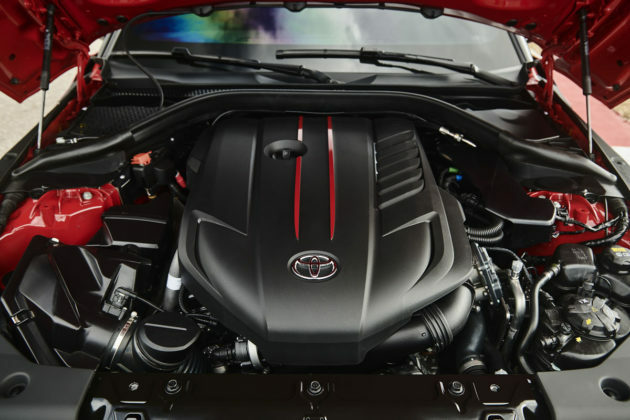 In other words, it’s a fairly light standard features list. 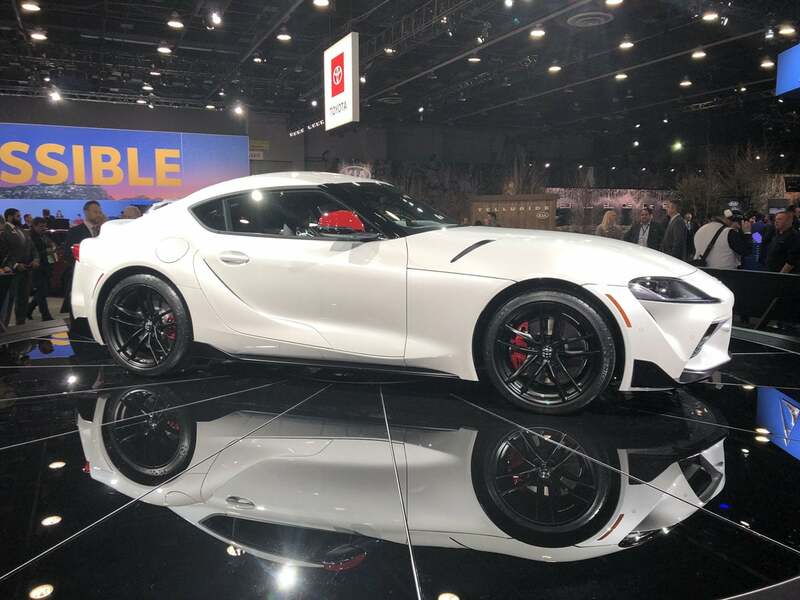 Toyota describes the Supra as a “premium GT” and is talking about comfort and convenience features as much as performance. 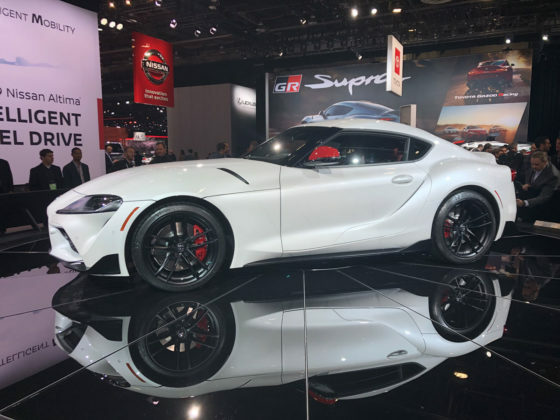 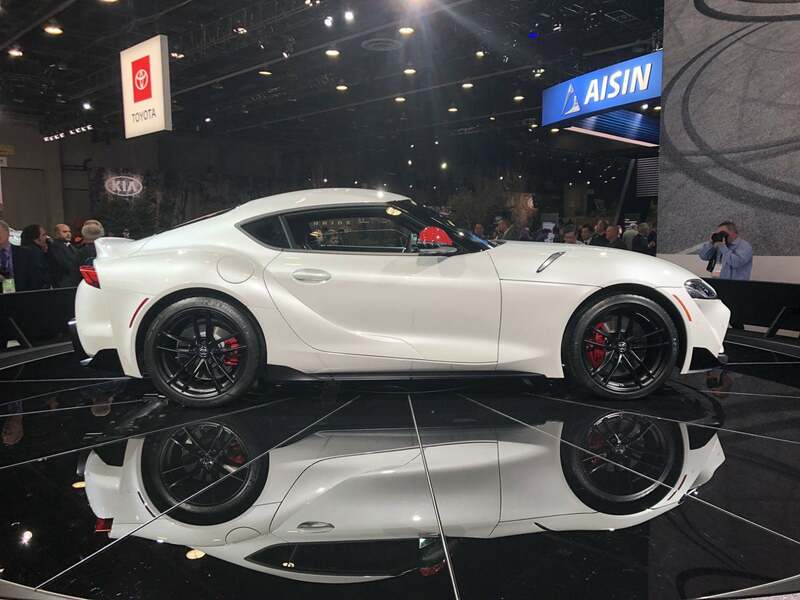 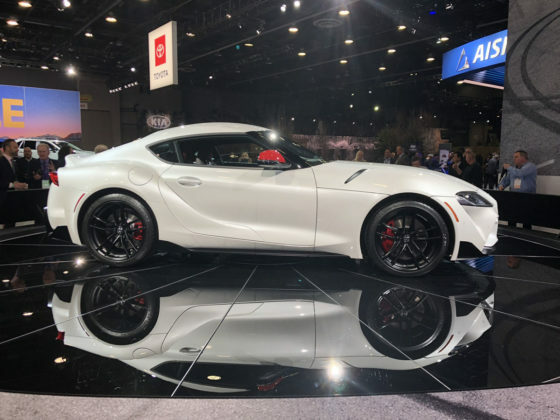 The new Supra gets keyless, dual automatic climate control, auto-dimming rearview mirrors, rear camera, rain sensor windshield wipers, garage door opener, power folding mirrors, and a leather-wrapped steering wheel standard which isn’t that much more equipment than the Corvette. 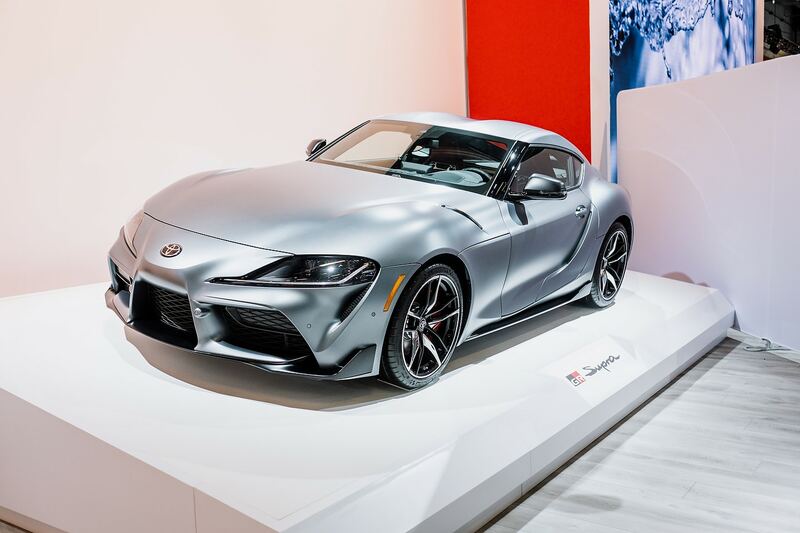 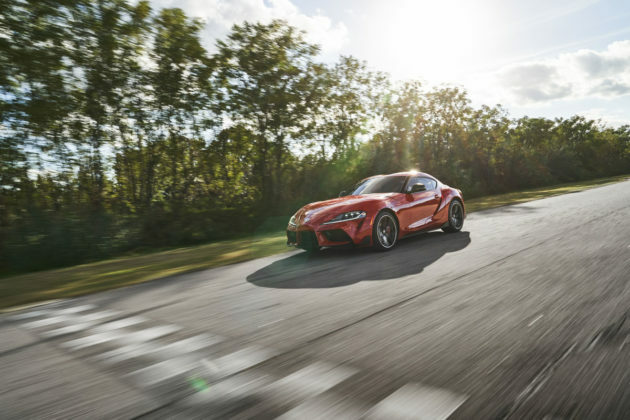 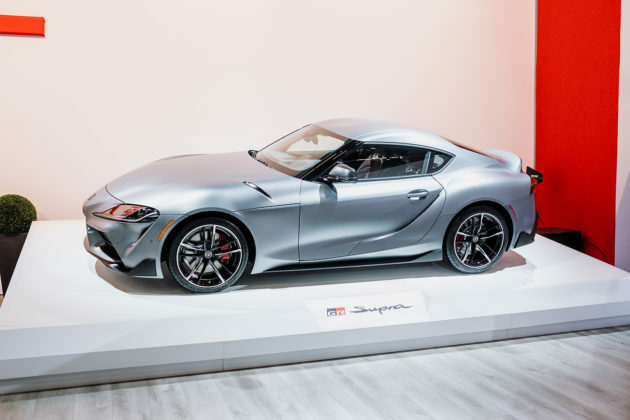 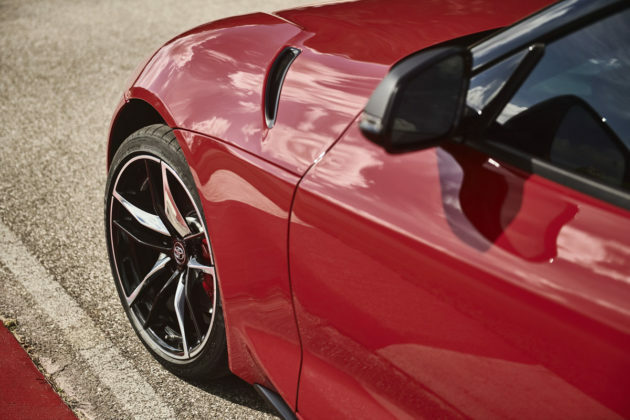 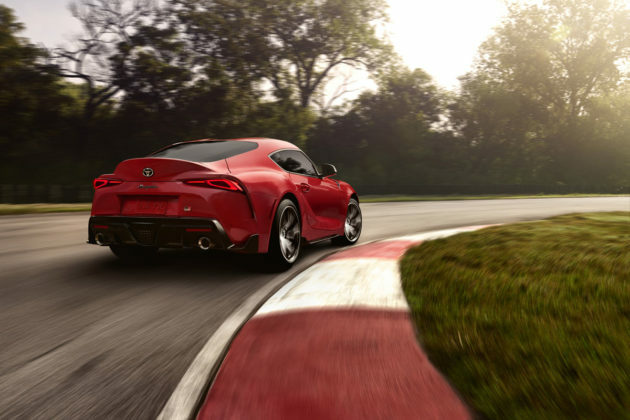 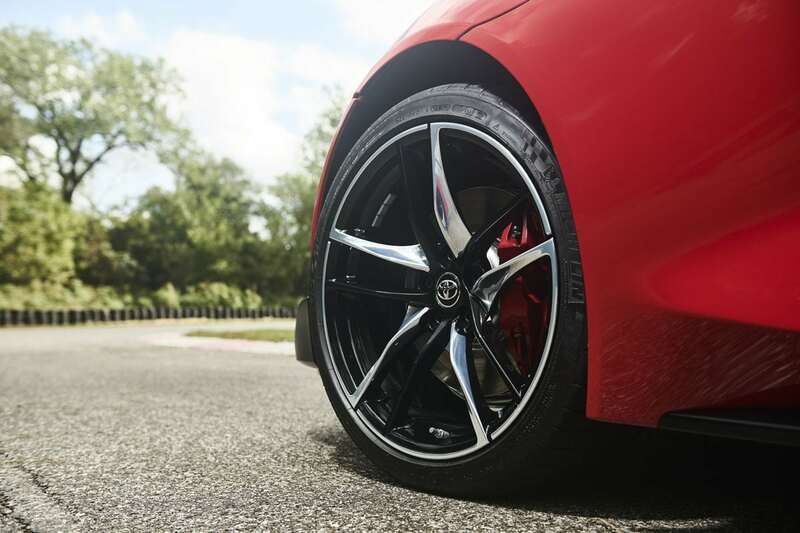 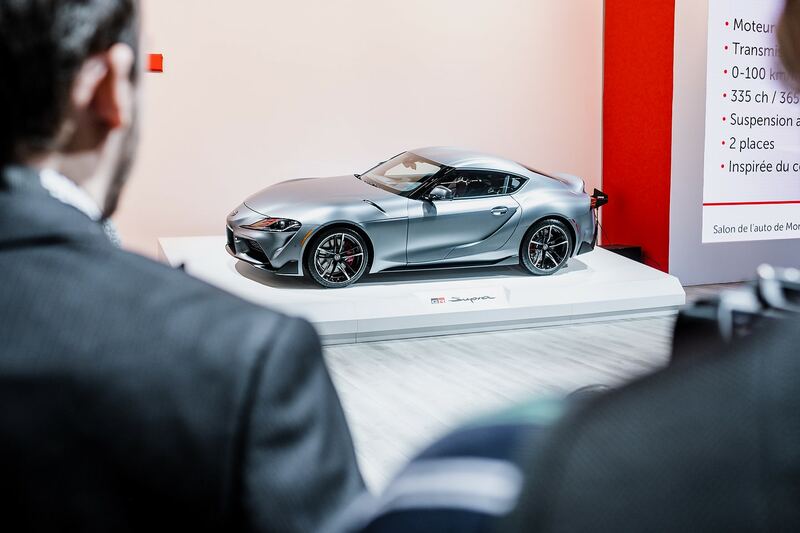 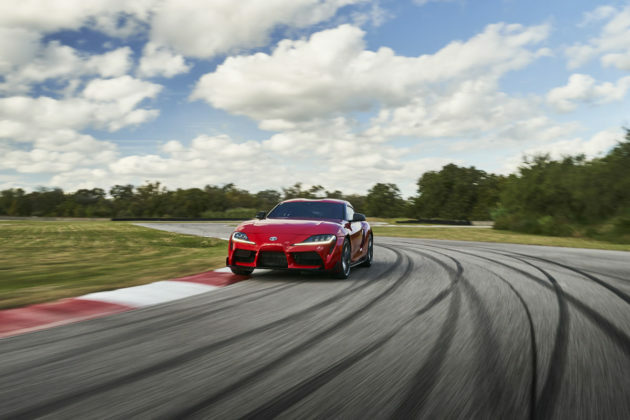 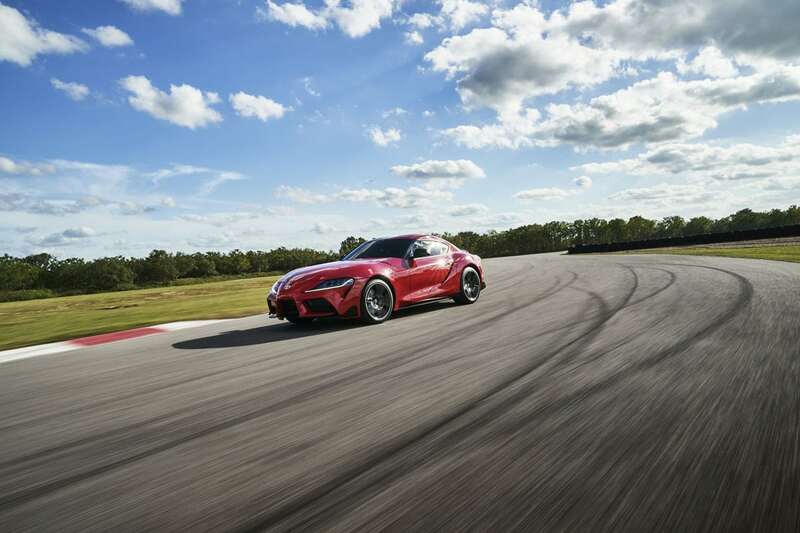 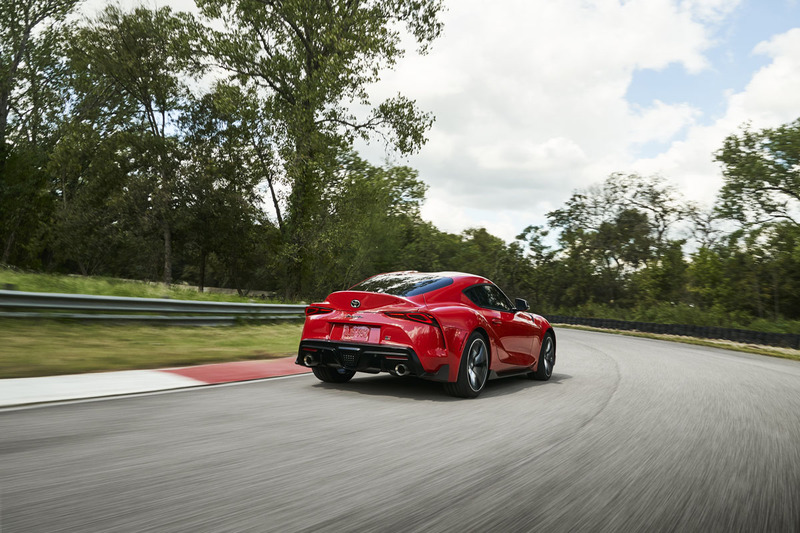 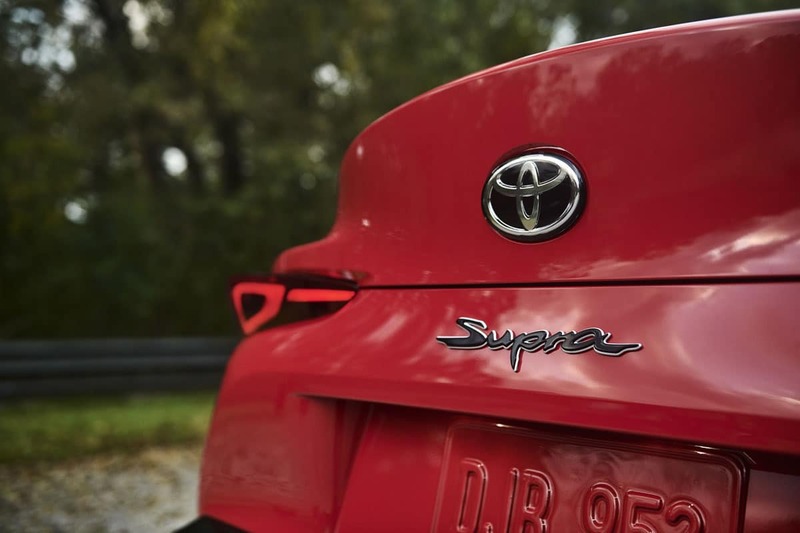 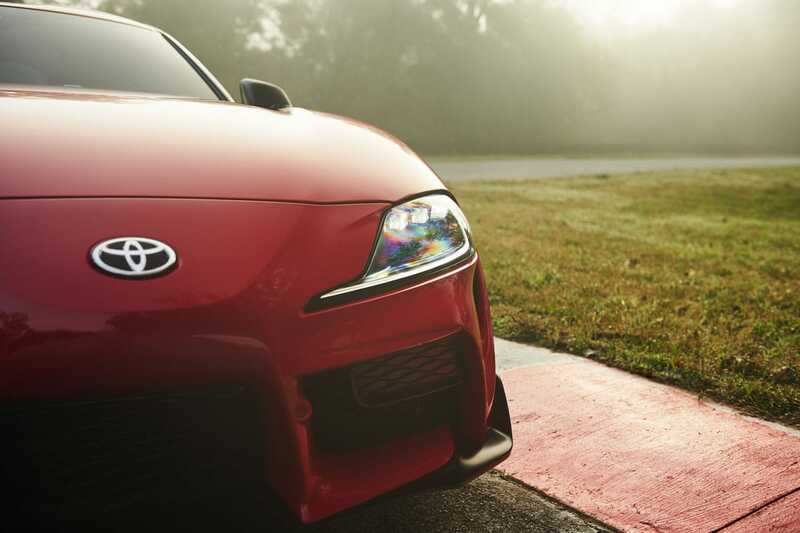 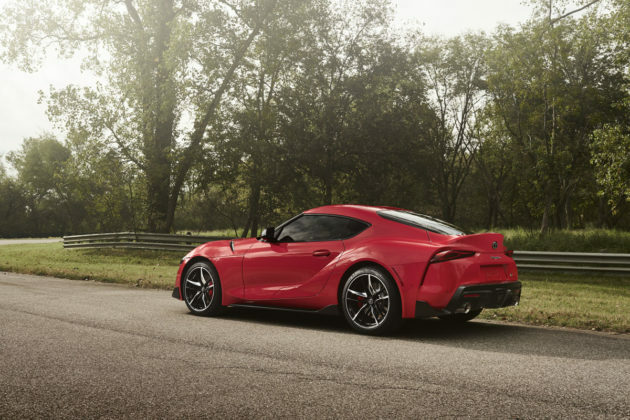 Safety is a big part of Toyota’s DNA and the Supra will get a range of driver assistance features standard such as forward collision warning, automatic emergency braking with pedestrian detection, lane departure warning with steering assist, automatic high beam and road sign assist. 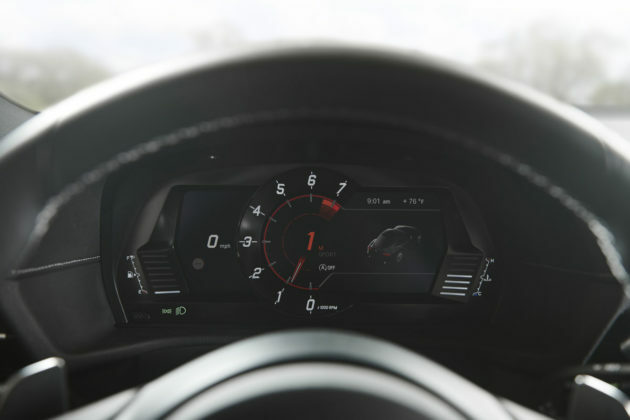 Other active safety features like blind spot monitoring and rear cross-traffic alert will be available. 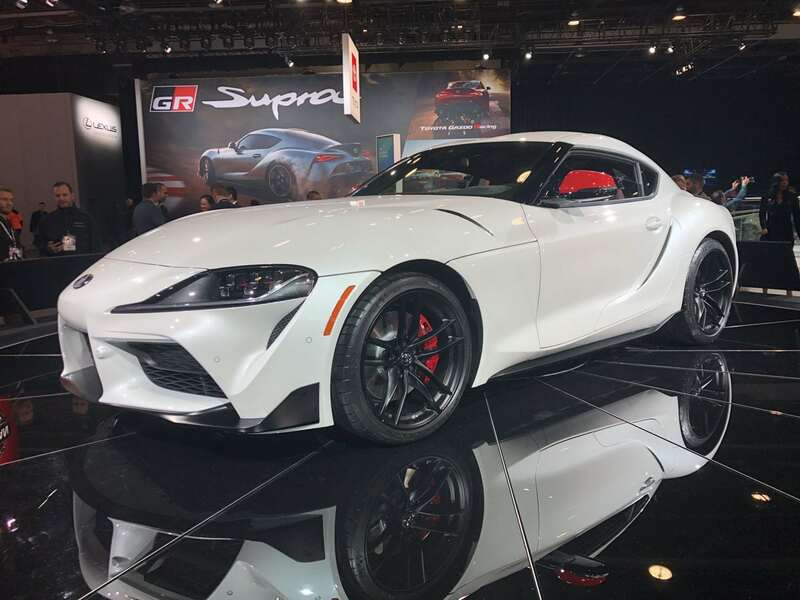 The Supra is the more modern of the two by far and therefore gets a bit more connectivity tech than the Corvette. 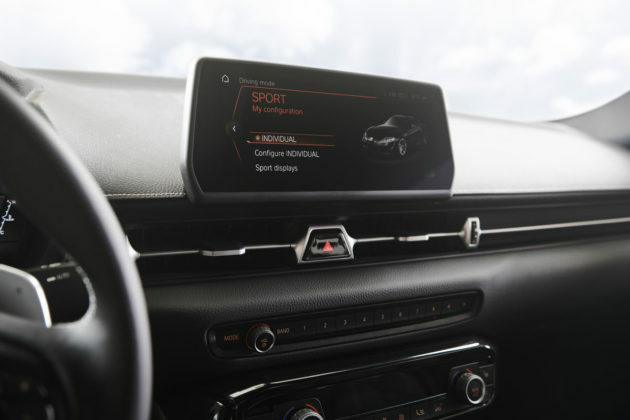 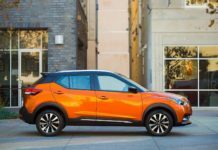 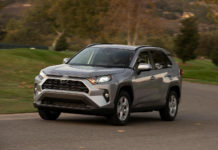 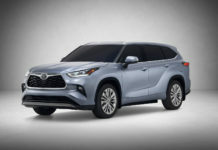 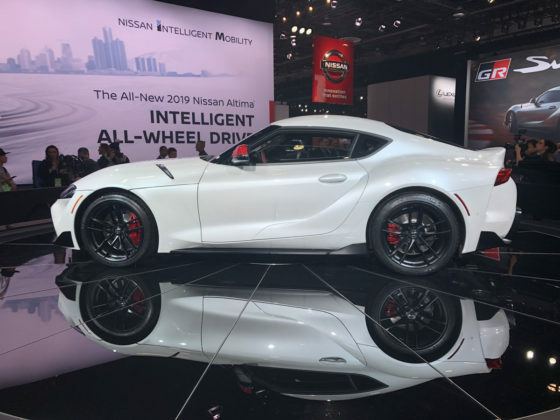 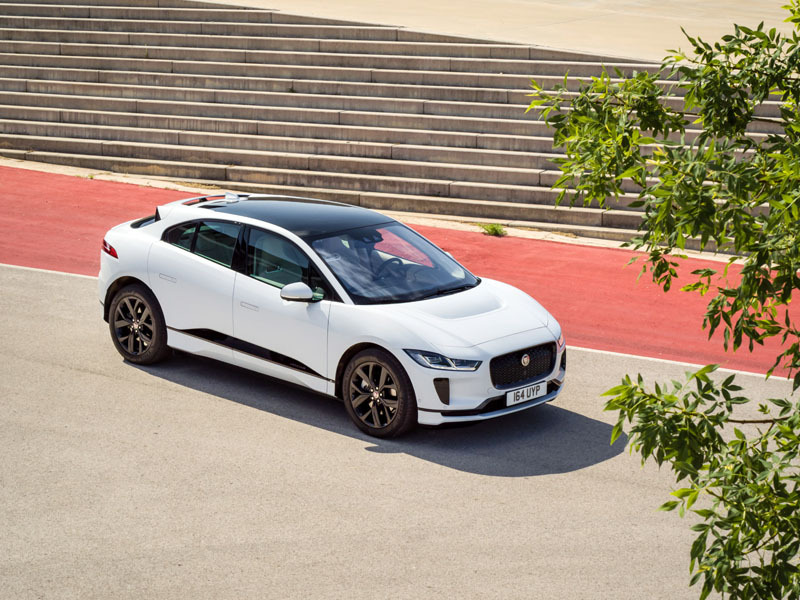 Examples include an 8.8-inch touchscreen display with navigation, rotary touch controller, Supra Connect telematics services, wireless Apple CarPlay, a premium 12-speaker JBL audio system, and wireless phone charging. These are included on the top-of-the-line 3.0 Premium Supra. 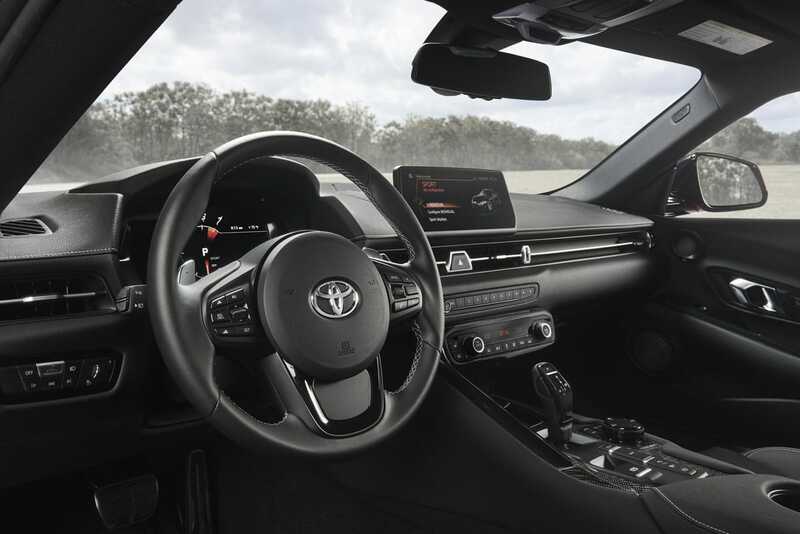 The base Supra 3.0 gets 6.5-inch display that can be operated by the rotary controller on the console, as well as Bluetooth and iPod capability. 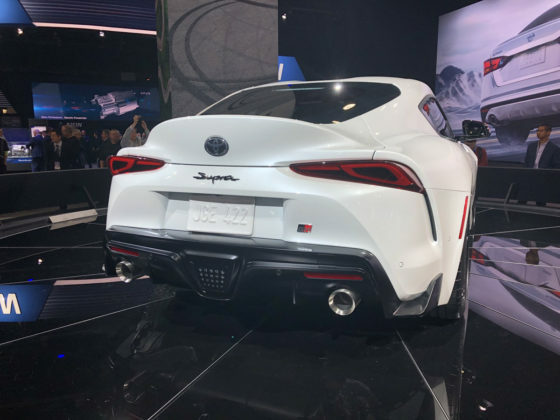 Given that the C7 Corvette is on the way out and soon to be released C8 model, and that the Supra is all new, we can expect the Toyota to be more modern inside. 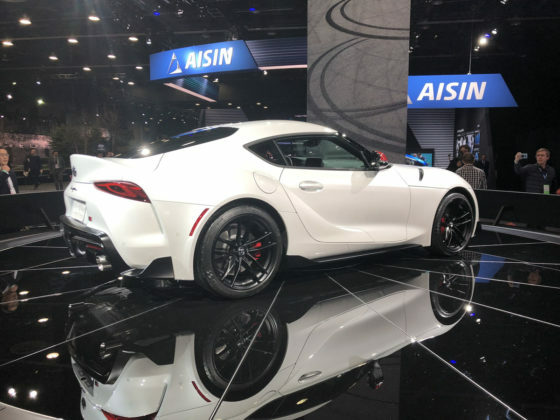 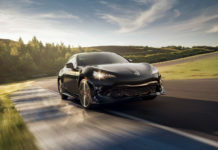 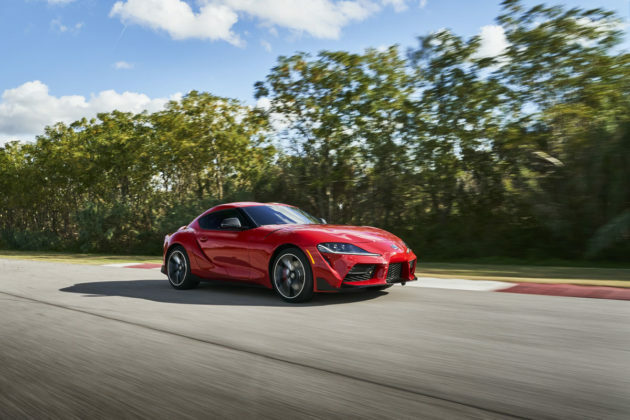 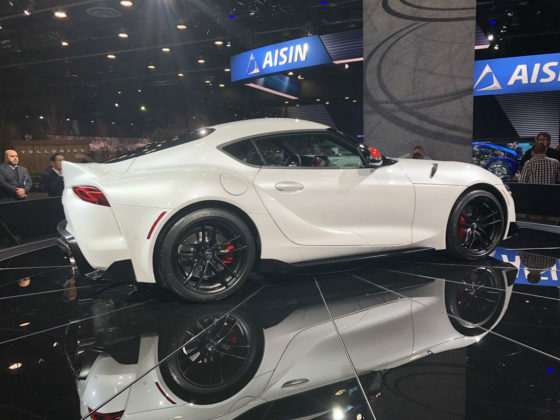 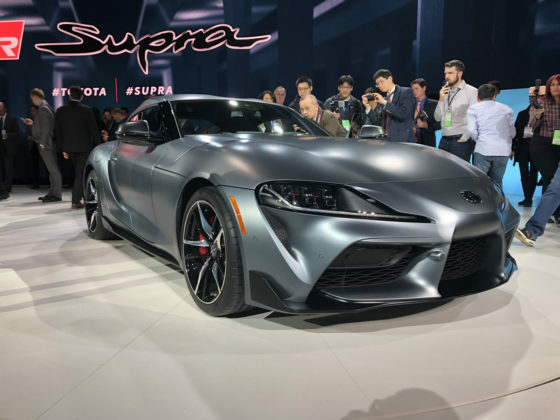 The 2020 Toyota Supra is the new kid on the block while the Chevrolet Corvette is old news. 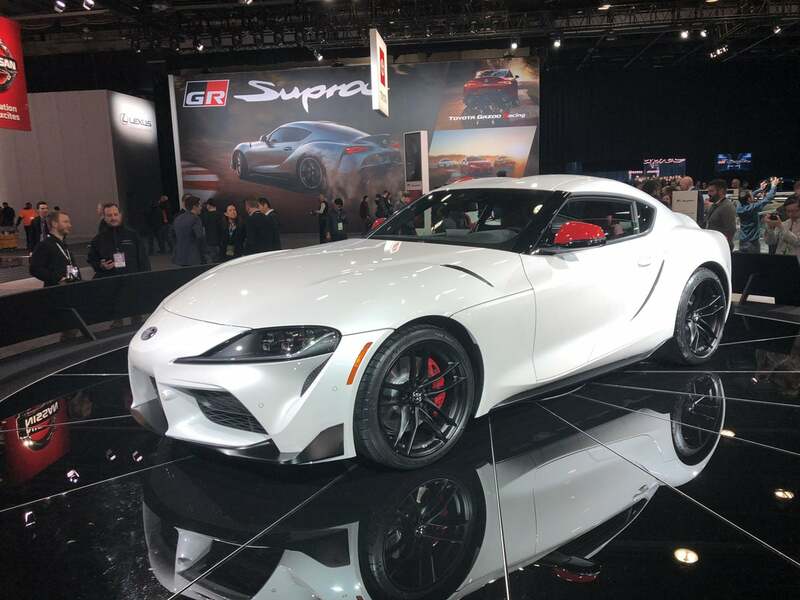 That alone will push people to the Supra. 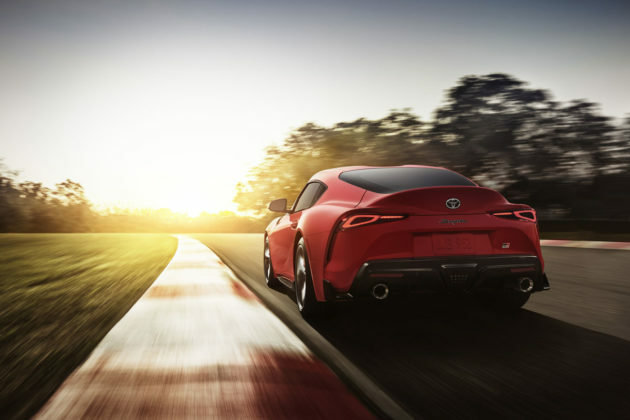 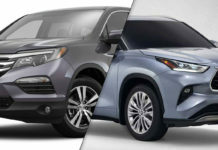 We also expect the Toyota to be the more refined and better equipped model of the two with more manageable yet still exciting power. 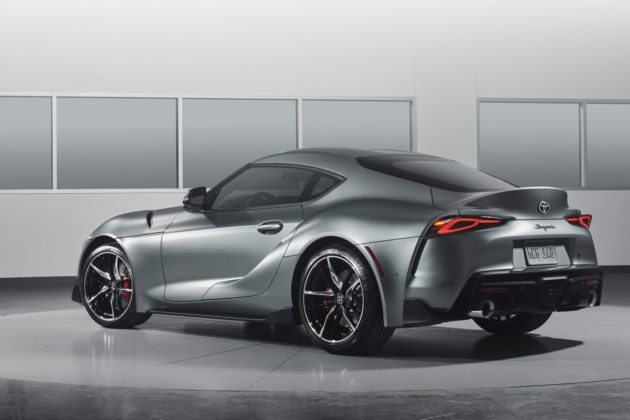 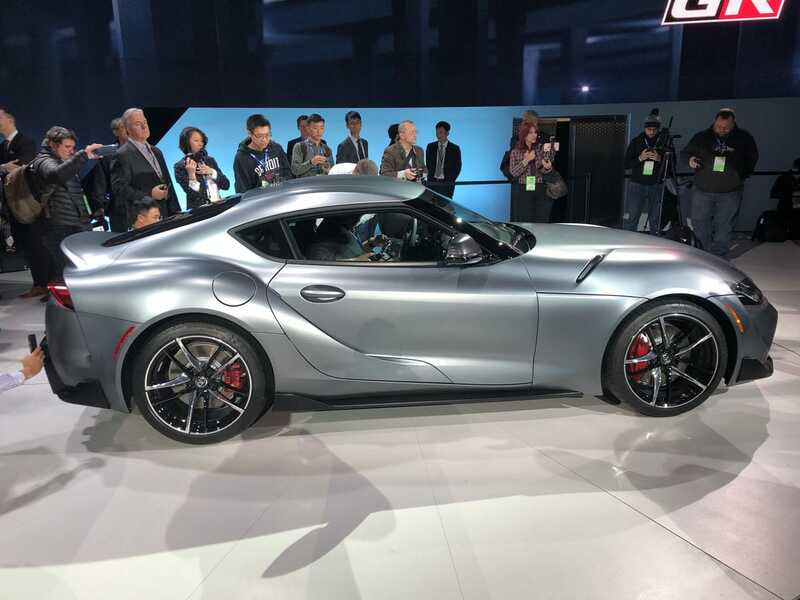 That said, the Corvette has a 7-speed manual while the Supra gets an 8-speed automatic with paddle shifters out of the gate, and when you’re talking about a two-seat performance coupe that will play a major role in many buyers’ final decision. Still, we’d have trouble saying no the Supra. 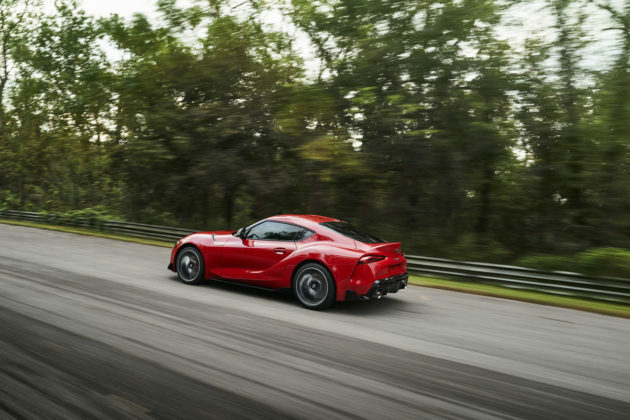 Get the Toyota for a few years and wait for the next-generation C8 Corvette. 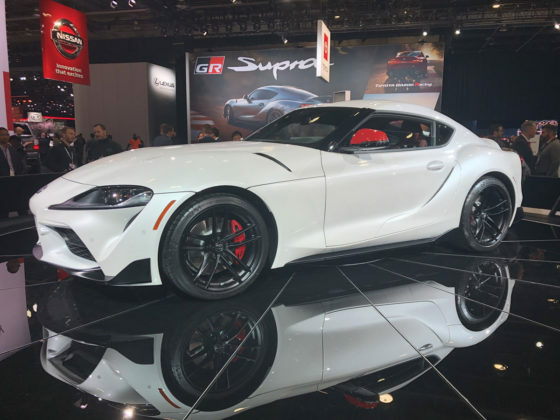 Sell the Supra at a good price and get the Chevy.